Just thought I’d share a couple of presentations that I delivered at two different conferences last week. And secondly, a joint presentation between myself and Liz McGettigan from Edinburgh City Libraries at the annual Internet Librarian International Conference in London; “A Joined Up Approach to Social Media”. Although it’s still early days in terms of official research, public libraries are emerging once again as recession sanctuaries; providing vital services, in times of economic crisis. I recently presented on this very topic at the Society of Chief Librarian’s (SCL) Conference at the University of Warwick. (Presentation available via my SlideShare page, click here). Attending the conference was a fantastic experience as I was able to chat to delegates about the impact that the recession has had on their library services; how they’re managing to deliver high quality services despite ongoing budget cuts; and the innovative ways that they’re promoting their services to users, including this inspired poster from Brighton & Hove…. During the Q&A session for my presentaion I noted a strong desire from many delegates to explore Web 2.0 and social media. Unfortunately, however, many are unable to implement their Web 2.0 plans due to restrictions imposed on them by council-wide IT departments and their filtering policies (click here for a previous blog post about Glasgow City Libraries & internet filtering). A shame really, given that other authorities, with slightly more liberal approaches to web 2.0 are able to forge ahead, creating interactive and collaborative spaces for library users to visit online (e.g. Manchester Libraries). There were lots of other topics discussed over the two days and to highlight some of the burning issues I’ve created a word cloud, using Wordle, based on keywords from the Twitter feed (see above). 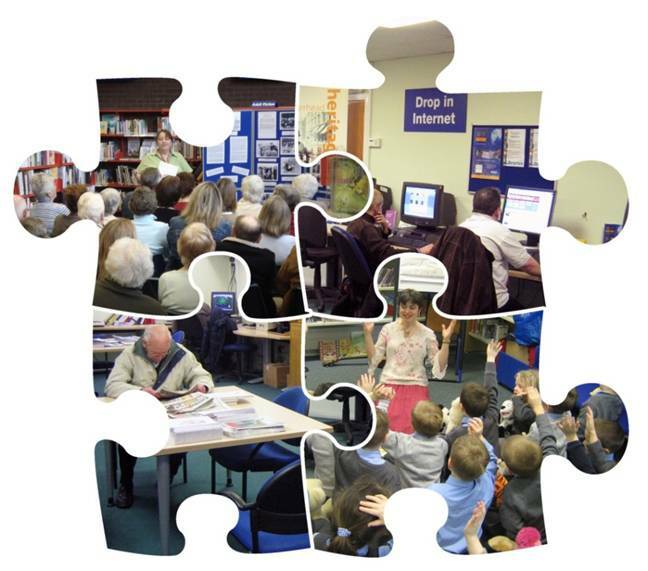 If you’re keen to find out more about the role of public libraries in times of recession then why not click here to check out my recently published article “Rising to the Challenge”, featured in the latest edition of Library Review. The popularity of the public library soars as economy takes a dive? In times of economic hardship people have less disposable income and thus tend to cut down on their luxury goods expenditure. The purchasing of books, DVDs, music, new technologies and branded groceries, alongside outings to the theatre, cinemas and football matches become less frequent as we all try to tighten our belts a little. Even a few of my friends who’ve always bought their books from Amazon and who had previously admitted to me that they’d rather browse the shelves of Borders than visit their local library have signed up for library memberships! Telling times indeed!